Before any comment, first I should say that I have never been a fan of Tahir-ul-Qadri, especially because I am a severe critic of using the religion as a pretext for other vested interests. I would rather be on his opposition side than in his bandwagon. But the situation in Pakistan needs this kind of political storm. Now I can see the beginning of a different phenomenon… And I can see the eventuality of a new Pakistan rising… In order to break the old walls, we need the strategy of Tahir-ul-Qadri and the people he can energize so skillfully. Somtimes we may not like the design and style of a machine but its functionality is so effective that we must take it into the arsenal. 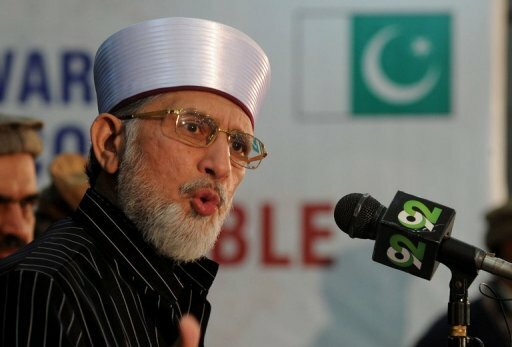 Tahir-ul-Qadri is an extraordinary and powerful machine – perfect for a people’s revolt that Pakistan actually needs! Major change never comes with conventional methods. An election will bring just another political party in power. That change will not bring “THE CHANGE”. Conventional objections against Tahir-ul-Qadri are not valid when “conventional thoughts” are challanged in the first place. “He does not have a political party. He is speaking against the constitution. He is trying to dissolve the constitutional institutions…” These are the conventional arguments against him. But he is out to break the convention. Because the convention and all the conventional doors towards a decent socio-political life have been always blocked by the corrupt and ineffective elements of society. So now in Pakistan we need the radical change. And that is possible through someone like Tahir-ul-Qadri. I have always believed that when all the conventional doors towards some solution are blocked, radical methods become essential – even if it means breaking some existing rules. Quite often, I used to get a fancy thought that if somehow I could get the support of a military power, I woud attack this country to liberate it from the occupation of bandits. 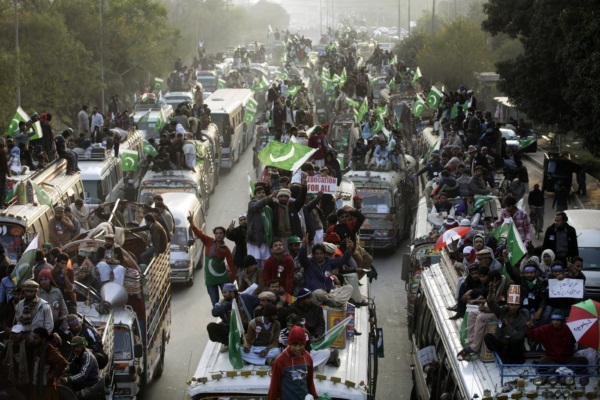 Now I can see the fancy of this attack happening in reality – in the metamorphoses of Tahir-ul-Qadri. Tahir-ul-Qadri and his followers should not give up. They should move forward to dissolve the assemblies and parliament. Break the old convention, set new examples and a decent socio-political infrastructure for everyone in Pakistan… It’s time when Imran Khan should also join him. 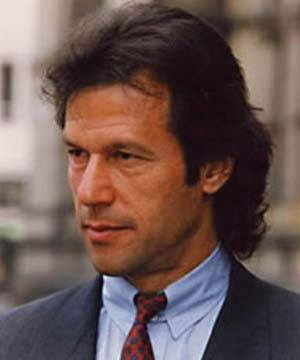 Imran can give another boost to this political storm.